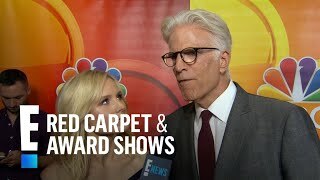 The "Good Place" stars give their favorite swear word filtered substitutions. Hear their hilarious answers! Subscribe: http://eonli.ne/RedCarpetSubscribe About E! 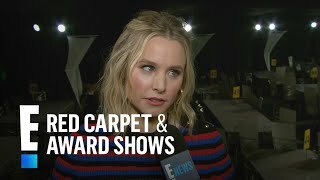 Kristen Bell stops by the People's Choice Awards 2017 Live Red Carpet Arrivals show and talks NBC's The Good Place, Frozen 2, Bad Moms sequel and more. Interview on Today Show for the movie Forgetting Sarah Marshall. The "Pandas" documentary narrator explains how she got involved with the project. Plus, have pandas taken the top spot as her favorite animal? Find out! 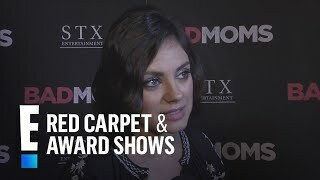 EXCLUSIVE: 'Bad Moms' Star Mila Kunis: Yes, I Want More Kids! There was so much baby bonding on the 'Bad Moms' set that the actress told ET she wants another child. 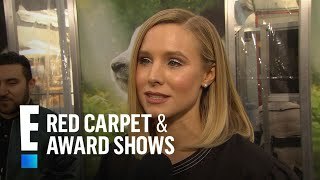 While promoting their new comedy, "Bad Moms," Kathryn Hahn, Kristen Bell and Mila Kunis tell Access Hollywood what it's like being a real-life mom. Kristen Bell Can ''Swear Like a Sailor,'' but That Doesn't Mean She's the "Raunchiest"